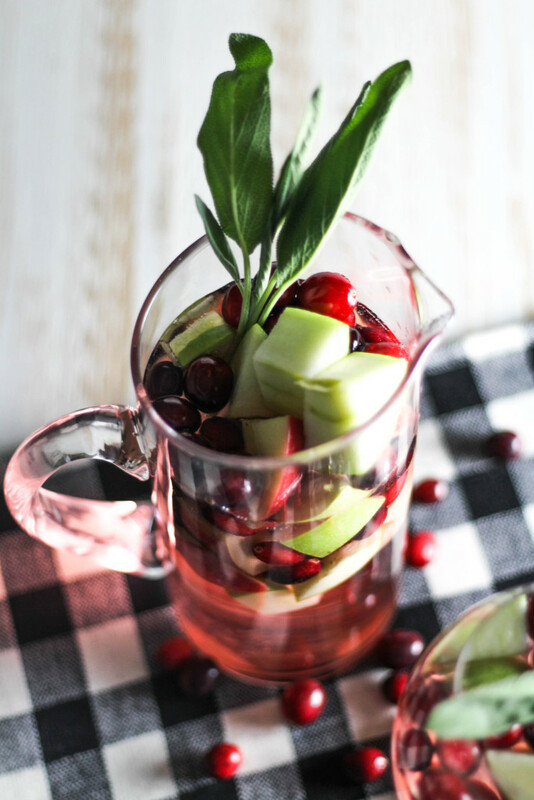 Combine apples, cranberries and sugar in a large pitcher. You may add in sage or save for garnish. Pour wine, juice and club soda over fruit and sugar. Use a long spoon to combine well. Make sure sugar dissolves. Let sit in a refrigerator for at least 2 hours before serving. Enjoy garnished with fresh sage in each glass.